It’s kind of funny that I decided to post this project today because exactly one year ago I shared a completely different project involving this same wall! I’ve had a gallery wall in this space for the past few years, but I ended up taking it all down once I put together my travel gallery wall. Two gallery walls in the same room seemed like too much clutter, so I’ve been looking for a large piece to fill the space ever since. I ended up finding this large (and very heavy) mirror at Goodwill on half-off day for $14.99 (after discount). Seriously, this mirror is really heavy and there weren’t any shopping carts left so I had to carry it all the way from the back of the store to the register and then out to my car. Now that’s determination to get a good deal! I like to call it bargain super strength. Anyway, I knew it would be perfect for the space after a fresh coat of paint, but I already have a couple mirrors in the room, so I decided to turn it into a chalkboard. I painted the frame with white Americana Décor chalky finish paint (my first time using chalk paint!) and painted the mirror with Rustoleum chalkboard paint that I had leftover from other projects. Then I used some fine-grit sand paper to distress the edges and details. I ended up hanging it by myself because I was too impatient for my boyfriend to get home and it ended up being quite the adventure. I probably should have waited for help…Anyway, I hung it with a couple heavy duty anchor screws and it feels pretty solid. Ringo has already knocked into it a couple times trying to catch his ball and it didn’t budge at all. My goal is to keep the board updated with messages for the holidays and quotes year around. Although I kind of love the winter wording I just did, so it’ll probably stay up until Valentine’s Day. I’m so happy with how it turned out and I already had the chalkboard paint, so this whole project ended up being less than $20! 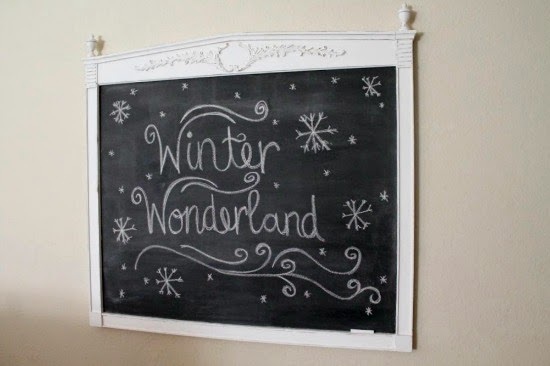 Great idea to turn it into a chalkboard, it turned out super cool! 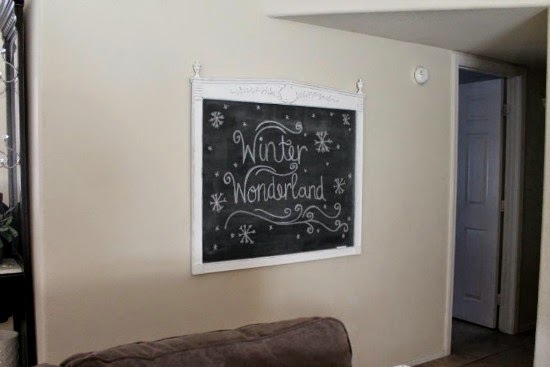 I never would have thought to turn it into a chalkboard, but I absolutely love it! 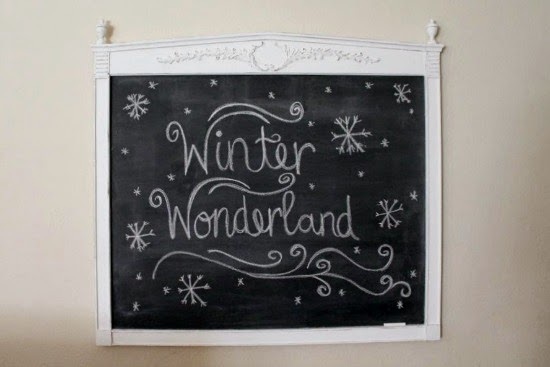 It looks like it is pretty big, so you will have so many chalking possibilities on there! Great Job! It looks awesome and I don't blame you for keeping the winter wording. It looks fantastic! This turned out great! 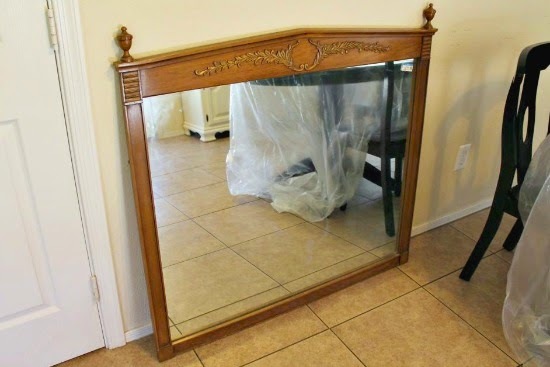 I would have never known it was a mirror had you not told us. It looks professional. 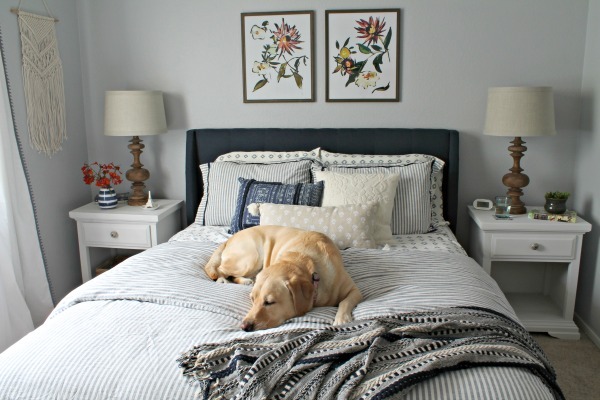 Looks great, I like how it turned out and it looks awesome in place of your gallery wall. Nice transformation. What a great idea! It turned out super cute and is the perfect pieces to fit that wall.